Here is an application form to become a distributor for us. MTB Cameras is launching the next generation of rear view cameras and monitors during 2017. HD resolution is the next step and will give a crystal-clear image far surpassing todays camera systems according to CEO Mikael Ginste. First in line of new products is our most selling rear view camera with electric visor, MTB93CD-HD, that protects the lens from rain and dirt when not in use. This to ensure a perfect image when you need it. This rear view camera can be connected to the head units of Scania, Volvo, Mercedes, VW, MAN and DAF trucks using an interface. The demand to show camera image on vehicle pc monitors is not new. But the solution is. A trigger activated USB interface for truck cameras means that when operator puts the vehicle in reverse gear the camera image will appear in full screen on the pc monitor. And deactivated the pc returns to last running program. The interface is developed for Windows 7,8,10 and compatible with all our camera models including the auto shutter camera MTB93CD. Waterproof rearview camera with color, infrared and audio. This reversing camera is shock resistant and designed for a tough environment. 7” Digital rear view camera system with auto shutter camera on truck as well as trailer with additional side view camera. MTB Trailer-set connects between truck and trailer. When MTB Trailer-set is connected the image from the camera on the trailer is shown and when it’s disconnected the image from the camera on the truck automatically is shown. The rear view cameras are activated by reverse gear and the side view camera by left hand turn signal. This solution helps the driver perform the job with ease and safety. The in cab monitor automatically displays a perfect image from the camera or cameras configured for the task performed. 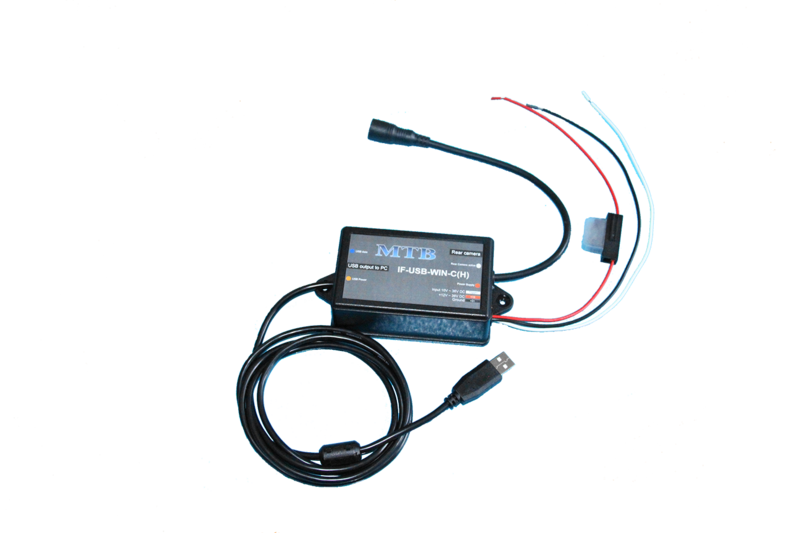 The interface allows use of rear view camera with auto shutter MTB93CD. This protects the lens from rain and dirt giving a clear image when needed. It also supports the heater function of the camera, heating both lens glass and camera housing.It also allows the use of side view camera to avoid accidents in urban environments when making a right hand turn. The Scania Radio Premium camera interface allows you to connect two MTB cameras. One rear view shutter camera and one side view camera. This solution helps one driver/operator perform the job with ease and safety. The in cab monitor automatically displays a perfect image from the camera or cameras configured for the task performed.